Leicester club captain Ed Slater is on course to return from a long-term knee injury before the end of the season. 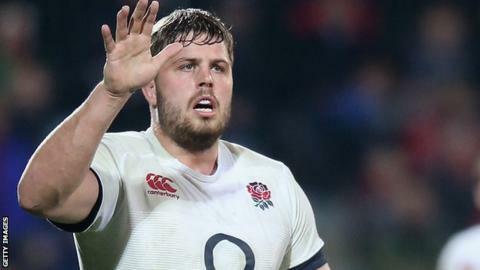 The 26-year-old second-rower damaged ligaments playing for England on last year's tour of New Zealand and was expected to be out until the summer. But Slater told BBC Radio Leicester: "It's going really well. The physios don't like me putting a date on my return because anything could happen. "But I like to have a target and I'd like to be back by the end of March." Slater was part of England's Elite Player Squad last season but had to have knee reconstruction surgery in August following the injury playing for the second string side against Crusaders in June. He added: "We have a game against Exeter at home in March, but there are hurdles to jump over before then. "I have always seen the positive side of things and that is about using the time to refresh my body and get my knee in a good state. "But hopefully I have a long career ahead of me and that means taking this time to prepare myself properly in order for that to happen. "If I rush back that is where the trouble happens."